How to cook Egg Fried Rice. It’s Friday night. You’re craving a takeaway but you don’t want to blow your diet – what’s the solution? Our DIY Egg Fried Rice! This recipe is easy to make and so fast that you’ll be serving it up before you can say, ‘And number 57, please.’ As if that wasn’t enough, it’s also a much healthier alternative to your regular takeaway order. We all know that takeaway food isn’t particularly nutritious. That’s because it often contains high levels of salt, sugar, and fat. 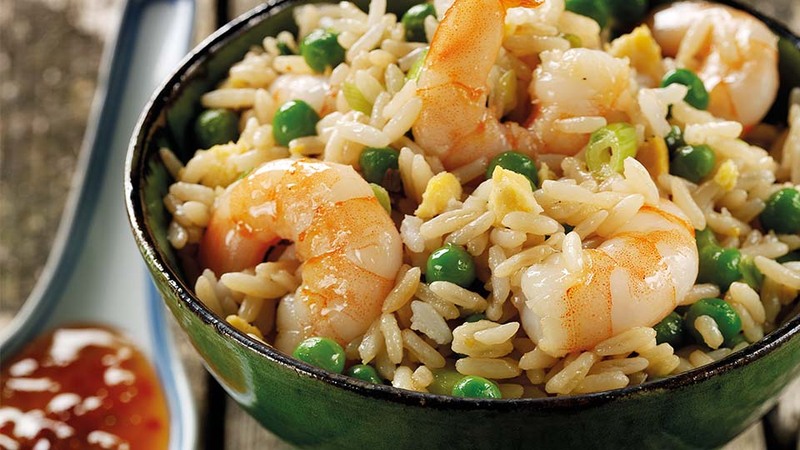 What’s more, your beloved egg fried rice usually contains monosodium glutamate (or MSG), a flavour enhancing additive that has addictive effects. This is what’s to blame when you find it hard to put down your chopsticks. Follow our simple recipe and learn how to cook egg fried rice without the bad stuff – so you can get stuck in guilt-free! Love this recipe? Browse our YouTube channel for more simple dishes, like our Asian Chicken & Wholegrain Rice Soup – or try your hand at a new skill by mastering the art of cooking risotto rice!